Nothing frustrates paying customers more than a dreaded service interruption. When people try to connect to a network, such as the internet, or make use of a critical utility, like electrical power, they expect flawless functionality each and every time. These customers have zero tolerance for outages, downtime, or any other interference that may cause them to lose patience, or worse, cost them money. But many service providers remain unaware that the critical equipment they rely on to deliver their services is at risk of potential failure due to aging infrastructure and lack of maintenance. Disrepairs, such as roof leaks, can cause expensive damage to the vital systems that provide electricity, heating, wireless service, and other important services. Essential equipment must be protected to withstand harsh weather conditions, but fortunately, Fibrebond Field Services has your business covered. 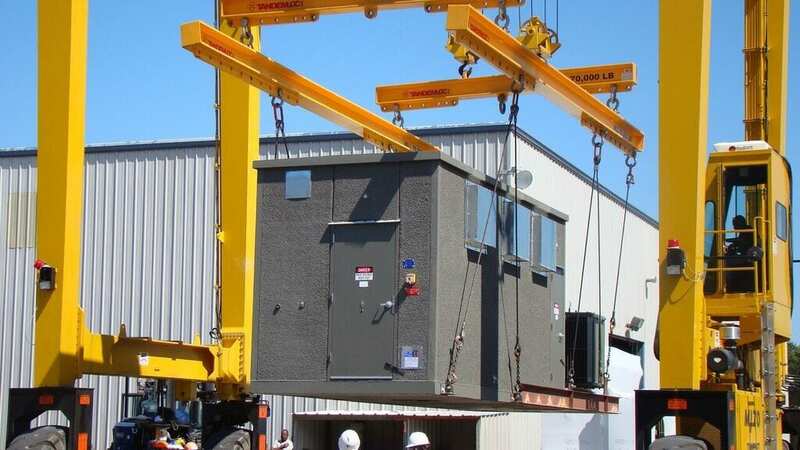 Since 1982, Fibrebond has emerged as the industry leader in the manufacturing of innovative shelters and structures to protect mission-critical equipment. An American company, Fibrebond provides comprehensive protective solutions, from the installation of specialized shelters, to their maintenance, refurbishments, improvements, roof repairs and replacements and equipment change outs. Furthermore, Fibrebond provides a three-year warranty on all field services, and a 10-year warranty on new roofing to give customers the peace-of-mind of knowing their investment is safe. Best of all, Fibrebond’s highly-experienced teams can deploy anywhere in the country, and provide maintenance to any shelter, regardless of the original manufacturer, all while the site remains active. Let’s say you’re a hospital located near the Gulf of Mexico, and you’ve come to rely on a backup generator during the occasional power outage. But this generator is located outside and housed in a containment that has suffered rust and abuse at the hands of a few unforgiving winters. The roof has started to leak causing damage to the generator that you’re unaware of, until it’s too late. It’s hurricane season, and a catastrophic cyclone knocks out electricity right when the hospital needs it the most. You go to flip on the backup generator, but it fails too, and at the most inopportune moment when so much is at stake. It’s a scenario that could have easily been avoided had the generator been protected in a durable shelter installed or repaired by the knowledgeable team at Fibrebond. Don’t leave your valuable equipment to chance. The structures that protect your networks and systems require occasional and proper maintenance so they never fail, especially when customers need them the most. For over 30 years, businesses and government clients have turned to Fibrebond Field Services to install and maintain their protective equipment shelters without the headache of service interruptions. Guard your investment against costly disaster, and contact Fibrebond today for a site evaluation.